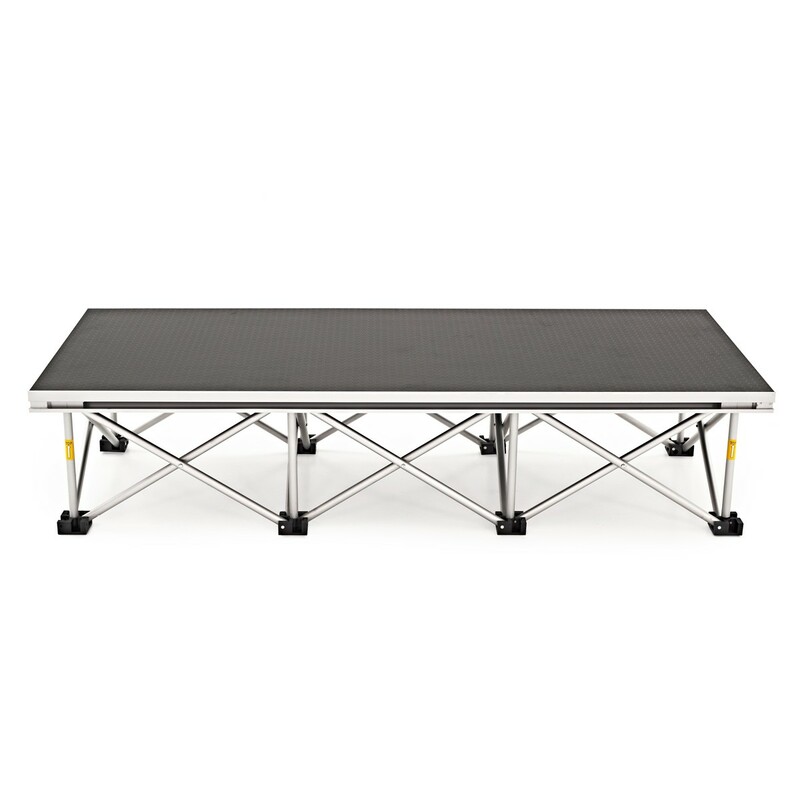 The portable stage step platform is one of the first building blocks towards creating your own modular stage. Composed of high quality wooden plywood with industrial standard non-slip protective surface and high grade aluminium edges. 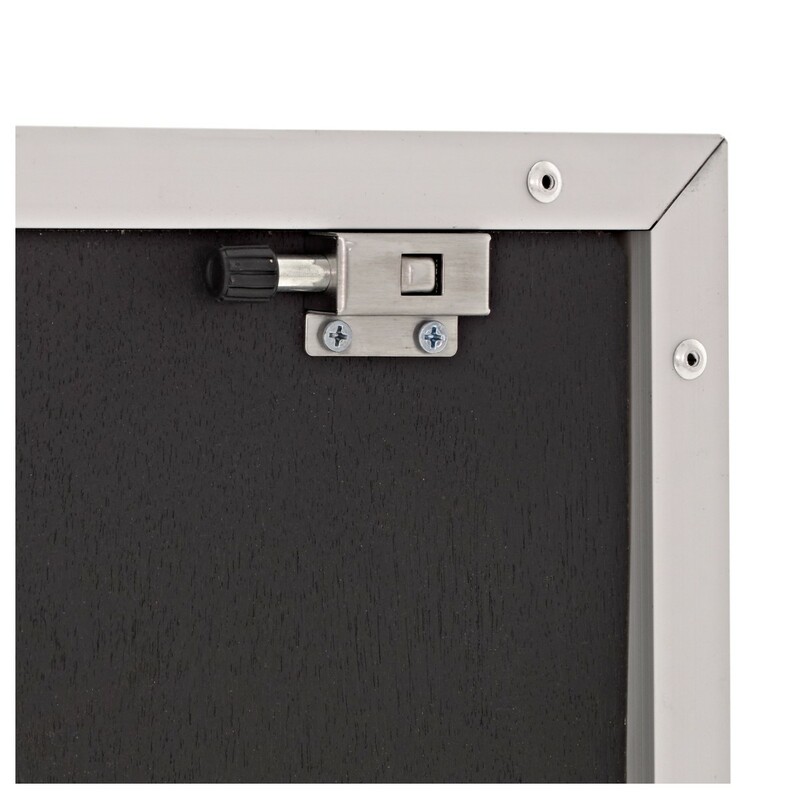 The platform also features a quick locking mechanism, which when used in conjunction with Gear4music risers, creates a stage step that is quick and easy to set up. The 1m squared platform is suitable to be used with the Gear4music stage risers, and is easy to connect multiple units to create a rigid structure. Simply sit the platform on top and connect to the risers using the four heavy duty locking pins in each corner. Connecting platforms together is just as easy. 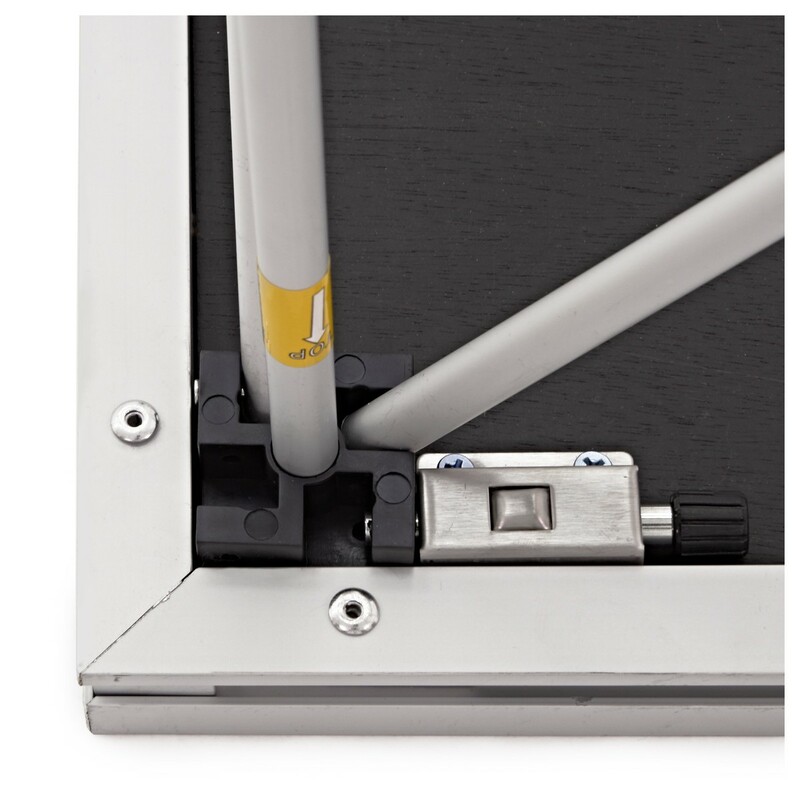 Each platform includes adjustable clamps on two of the four sides, which connect inside the metal grooves. From there, simply tighten the clamp and you have a very secure stage. 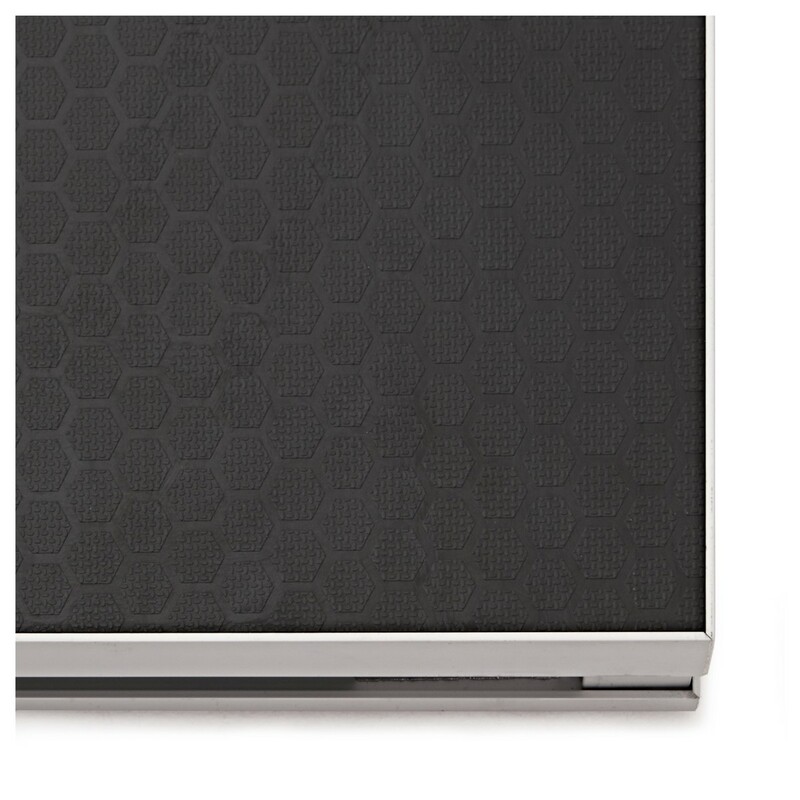 The Gear4music platform is the perfect way to start building your own custom stage. Using this platform with the following materials, you can create a stage of varying heights and sizes that is perfect for your needs and requirements. Alternatively, check out the great package deals available for sale! 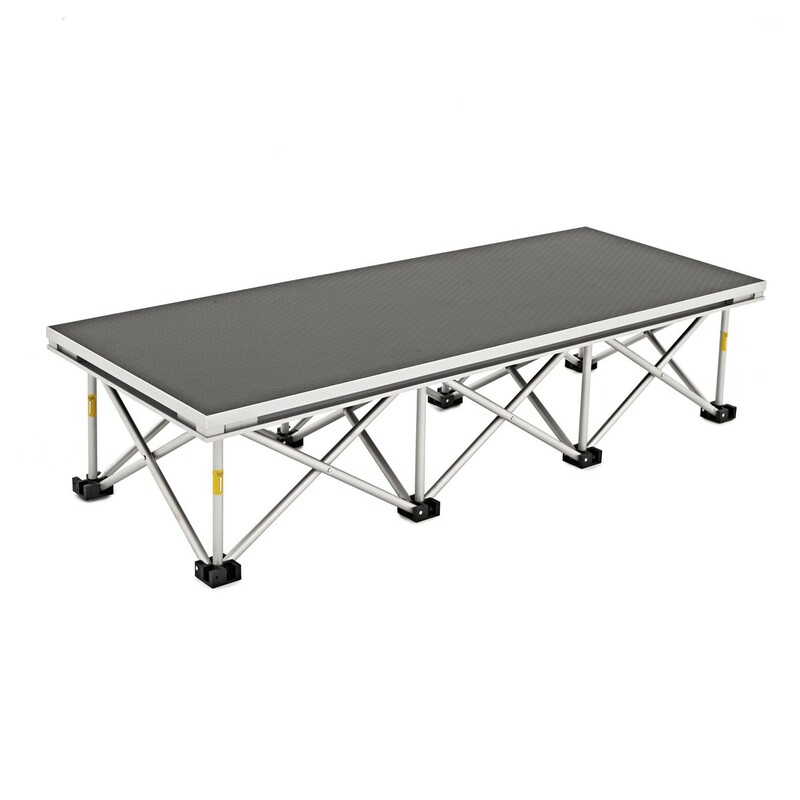 40cm Stage Riser - raise the platform off the ground by 40cm. 60cm Stage Riser - raise the platform off the ground by 60cm. 200cm x 40cm Valance - suitable for use with 40cm stage riser to hide the leg supports from your audience. One valance will cover two sides of your platform. 200cm x 60cm Valance - suitable for use with 60cm stage riser to hide the leg supports from your audience. One valance will cover two sides of your platform. 20cm Step with Riser - allows you access the stage easily. Suitable for use with platforms using the 40cm risers. 40cm Step with Riser - allows you access the stage easily. 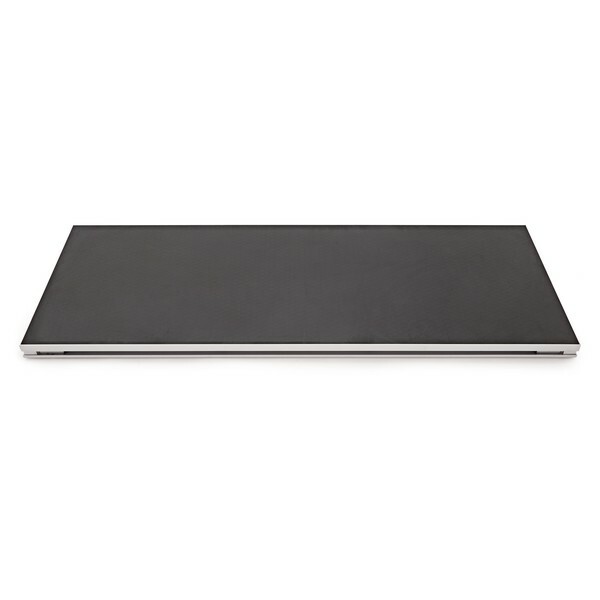 Suitable for use with platforms using the 60cm risers and in conjunction with the 20cm Step.